Amongst all things paranormal, stories of past life memories and reincarnation have often fascinated me. There have been a number of stories from people who believe they have lived before. They believe that they have memories of a previous life and some even remember how they died. Their memories usually start from a young age, they remember events happening in the past life or places and buildings which no longer exist but after some research its found that they did once exist many years before they were born. Whether these people have actually been reborn or maybe we are all reborn but only certain people can remember their previous lives. Maybe that’s why some people have always had fears of certain things like a fear of water or a certain colour that causes them fear and they have no idea why. They may have drowned or something of a certain colour had caused their death in the previous life and that fear stays in their new life. Sometimes people have birthmarks or other type of marks on their body which corresponds to an area of the body which they believe they were shot, stabbed or something else which had killed them. One theory of mine is that maybe its memories from relatives that somehow move down generations. For example a random memory from a distant relative, say a great grandparent, somehow moves down generations an resurfaces in a great-grandchild. Just recently I heard a story about a young man called Carl Edon whose story is probably the most compelling evidence of past life and reincarnation ever told. You may have already heard of it but its new to me so I thought I would share it. Carl Edon was born in Middlesbrough, UK, on December 29th 1972. At three years old Carl began telling his parents a story of how he remembered being a German bomber pilot. This confused his parents as they had no idea of where we would have got those stories from. He was never told about the second world war and he was not reading any books about it either. Carl would say “I crashed a plane through a window” and followed it up with a Nazi salute. He would also say that we had been shot down in 1942 during a bombing raid over England. He would draw swastikas and German insignia’s. All this while he was just three years old! 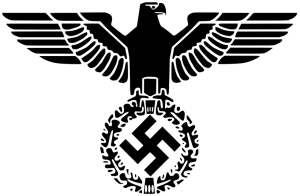 He also drew pictures of planes with swastikas on and an eagle which resembled the German Eagle emblem. Carl’s father started to take it all seriously and began investigating his stories. When Carl was six years old its said that he drew a detailed plan of an airplane cockpit and would describe what the different gauges were for. He would also mention a red foot pedal that would release his bombs. 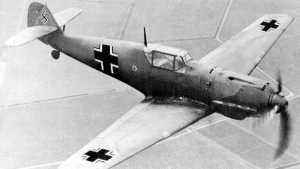 He even went on to say that his plane was a Messerschmitt, although he wasn’t too sure but he did say that the number on his plane was either 101 or 104. By now his parents were becoming very convinced by his stories and started become very involved in trying to find out if all of this could actually be true. One day they while watching a TV program about the Holocaust, Carl suddenly said that his base was next to a concentration camp, but they could not be sure of which one. Later Carl would explain how he had lost his right leg during his plane crash. Carl did actually have a large birthmark on his groin area at the top of his right leg. When Carl was eleven years old he would show his parents how he could goose step, which was the march of the Germans during the second world war. It is said they he would also stand in a straight stance with his hands firmly down by his side when he stood to listen to someone as he believed that he was as soldier. It’s also said that during school plays, if they were casting a German character he would insist on playing the part. One strange thing about Carl was that he didn’t look anything like his parents. Both his parents were very dark haired and although he did have his mothers blue eyes, Carl was blond-haired and even his facial features were different to his parents, he did not resemble either of them. His parents became very convinced there was truth behind his stories and memories but they could not find anything to prove it was real..
…However some years later that all changed! 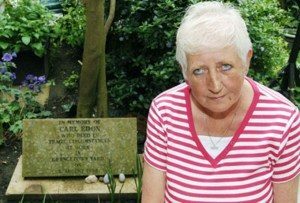 In 1997 wreckage of a German plane was discovered buried near Tilbury Road in Middlesbrough, Carl’s home town. The plane was dug up and a body was discovered within the wreckage. It was found that the body was that of Heinrich Richter. When they removed and examined the remains of his body they found that Heinrich had lost his right like in the crash, just like Carl had mentioned from his memories. His leg was still in his boot. A local historian had heard of Carl’s story and the discovery of the plane so they decided to do some in depth research. 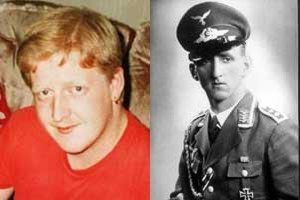 They found photographs of Heinrich Richter and when placed next to a photo of Carl the resemblance is very uncanny. The do look like each other! When Carl’s mother was shown the resemblance between the two she was convinced it had to be him. Just two years before the German plane and the body of Heinrich Richter was discovered, Carl Edon was murdered. Carl was working at Loudhaul’s Grangetown yard train depot along with Gary Vinter. Gary Vinter had a history of extreme violence and one day Gary turned on Carl and stabbed him 37 times! 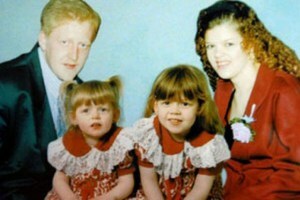 He was just 22 years old when he died, leaving behind his pregnant girlfriend and his 22 month old daughter Sophie. Just two months later his girlfriend gave birth to his second daughter. At the time of his murder Carl had traveled to Skinningrove to collect train carriages. More than 40 years earlier to the exact same day, Heinrich Richter had died, he had just bombed Skinningrove and flew his plane on to Middlesbrough following the exact same railway line Carl had traveled on. Heinrich was 24 years old. It was found that they had both taken the same route when they died. …Just coincidence or something more going on? Gary Vinter was sentenced to life for Carl’s murder but was released after only serving 10 years. 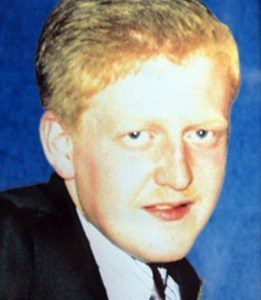 Later he married a women called Anne White in 2006, he murdered Anne not long after and is now back in prison serving a life sentence. Carl’s mother Val is convinced more than ever that Carl was the reincarnation of Heinrich Richter. A funeral for Heinrich was held in 1997 after his body was found and both of Carl’s parents attended the funeral. This whole story is beyond bizarre. There was no way Carl could have known about the crashed plane and pilot as there were no records of it happening, let alone that he started sharing his memories at just three years old. What is also very strange is the likeness between Carl and Heinrich and also that both died within feet of each other on the same day, 40 years apart. Was Carl actually the reincarnation of Heinrich Richter?